In 2005 I wrote a little book called Unseen Footprints: Encountering the Divine Along the Journey of Life. (That’s Merryn and me at the book launch, a few kilograms lighter than we are now!) 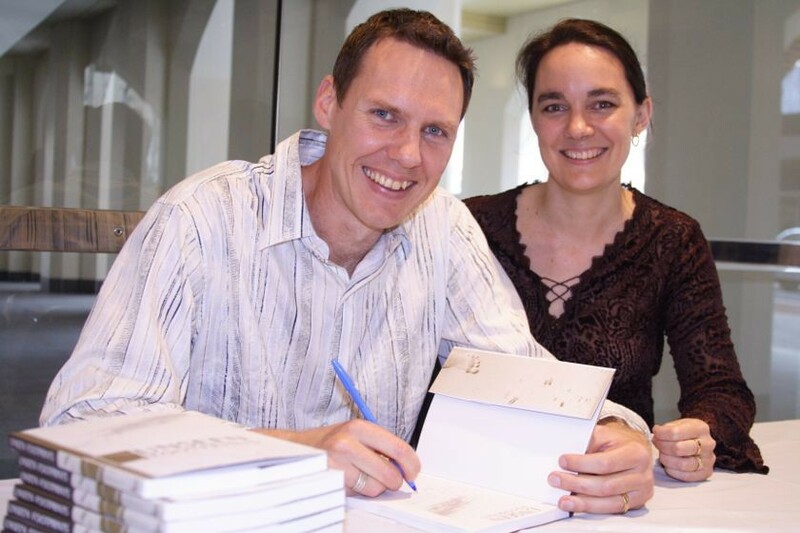 The book went on to win the 2006 Australian Christian Book of the Year Award, was released worldwide in 2007, and a third edition was released in 2011. The good news is Unseen Footprints will be released in a fourth edition later this year! The even better news is I have a stack of original UK editions I’m letting go cheap! Buy 5 copies for £2 each and get FREE postage (UK customers only). Unseen Footprints is more than an award-winning book—it’s a journey about opening our spiritual eyes to see the activities of God around us. Could we have had encounters with the divine that we haven’t yet recognised as such? Could God be written into the drama of our lives as if played by a secondary character or an extra that we haven’t paid much attention to? Incorporating classic and contemporary stories, vivid metaphors and compelling graphic design, Unseen Footprints is a reflective walk through pain, yearning and doubt; highlighting the way God whispers to us through creation, beauty and people. What if unseen footprints walked before us, behind us and beside us? Sheridan Voysey has written a charming book brimming with evocative stories and subversive parables that coax us into the complex search for meaning. As a guide he manages to be spiritual without being religious and reflective without being sentimental—an artful little gem. A thoroughly enjoyable meander through the varieties of ways that God touches us and draws us closer to himself. 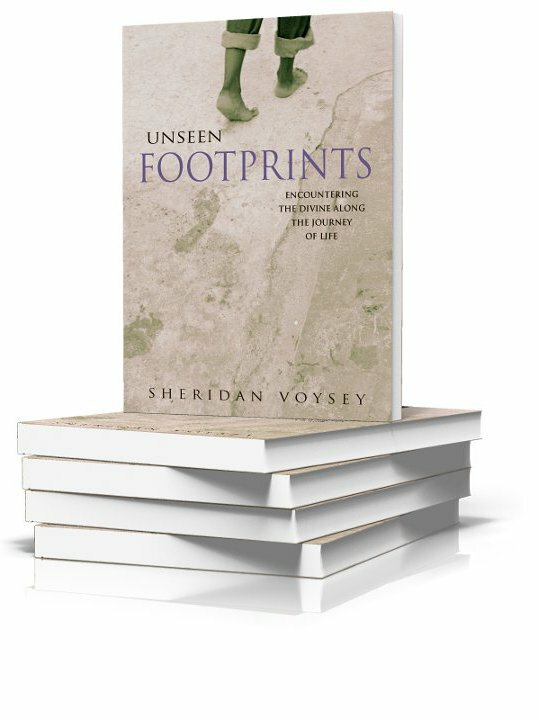 Through a delightful examination of movies, social trends, personal conversations and natural wonders, Sheridan Voysey leads us on a journey to discover God’s unseen footprints in our lives. Reading Unseen Footprints will open your eyes to the God who is already present in your life and in this amazing world of ours. It invites us along a path of grace, true vocation and transformation. 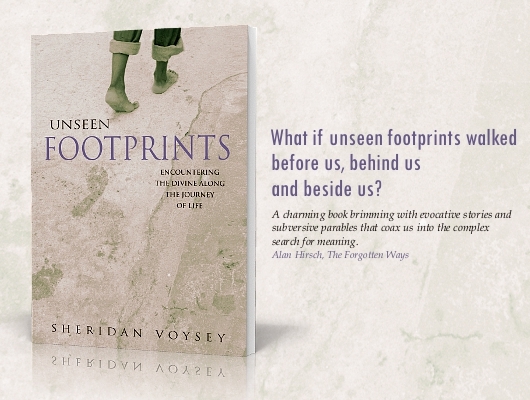 By using excellent examples from contemporary culture, Unseen Footprints provides an excitingly fresh and creative look at the intersections of the divine in daily life… A thoughtful and intelligent book which is creative, original and readable, but has depth.